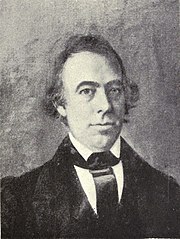 Missionary Williams Richards who hailed from Boston arrived in the islands in 1823. He was an even tempered educated man who became an adviser to Kamehameha III in 1838 and was trusted by the chiefs. A diplomat he has been considered the person who highly influenced the first Hawaiian constitution in 1840 and drafted many laws for Kamehameha III. He believed it was of the best interest, of Hawaiians to adopt Western-style government, something that is still controversial among native Hawaiians, for the changes that he and other missionaries brought to the islands.